A shot at Olympic gold in ski jumping. It’s a dream that has been the exclusive property of male athletes. For seventeen-year-old Ellie Engebretsen, the 2011 decision to include women’s ski jumping in the Olympics is a game changer. She’d love to bring home the gold for her father, a former Olympic competitor whose dreams were blown along with his knee on an ill-timed landing. 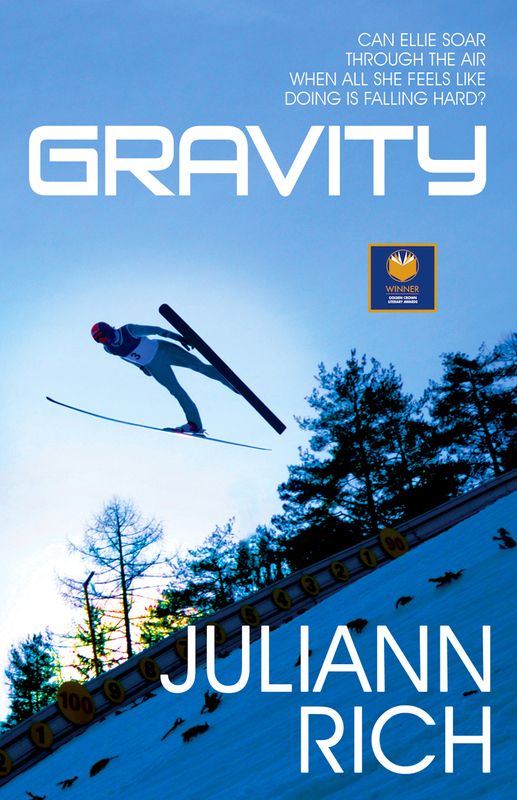 But can she defy the pull of gravity that draws her to Kate Moreau, her biggest competition and the girl of her dreams? A finalist for a Golden Crown Literary Award in the Young Adult Category! That is the dilemma sixteen-year-old Jonathan Cooper faces when he goes away to Spirit Lake Bible Camp, an oasis for teen believers situated along Minnesota’s rugged north shore. He is expecting a summer of mosquito bites, bonfires with s’mores, and photography classes with Simon, his favorite counselor, who always helps Jonathan see his life in perfect focus. What he isn’t expecting is Ian McGuire, a new camper who openly argues against phrases like pray the gay away. Ian is certain of many things, including what could happen between them if only Jonathan could surrender to his feelings. Jonathan, however, tosses in a storm of indecision between his belief in God and his inability to stay away from Ian. When a real storm hits and Ian is lost in it, Jonathan is forced to make a public decision that changes his life. Myth, magic, and monsters—the stuff of childhood dreams (or nightmares) and adult fantasies. Delve into these classic fairy tales retold with a queer twist and surrender to a world of seductive spells and dark fantasies. The Ivy and The Rose by Juliann Rich appears in this anthology. A Lambda Literary Award Finalist in the Anthology Category, 2016. READ AN EXCERPT FROM THE IVY AND THE ROSE!